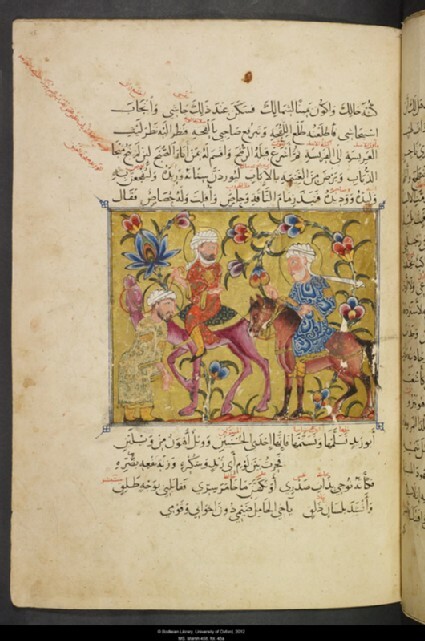 Amongst the most popular works of Arabic belles-lettres, the Maqamat (‘ Assemblies ’) are a collection of amusing stories told by the merchant al-Harith about a peripatetic rogue named Abu Zaid. In most cases, the tales are just a pretext to display elaborate Arabic constructions and puns, which is what made this work so famous in its day. The illustration shown here accompanies the 27th maqama, which recounts the loss and recapture of a camel by al-Harith. 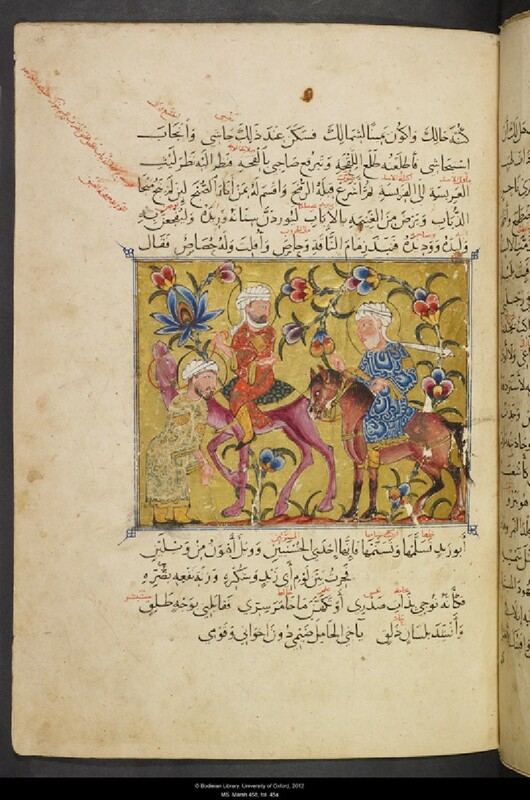 The scene depicts the moment in which al-Harith faces the Bedouin who took his camel and Abu Zaid, himself guilty of having stolen the horse he is riding.